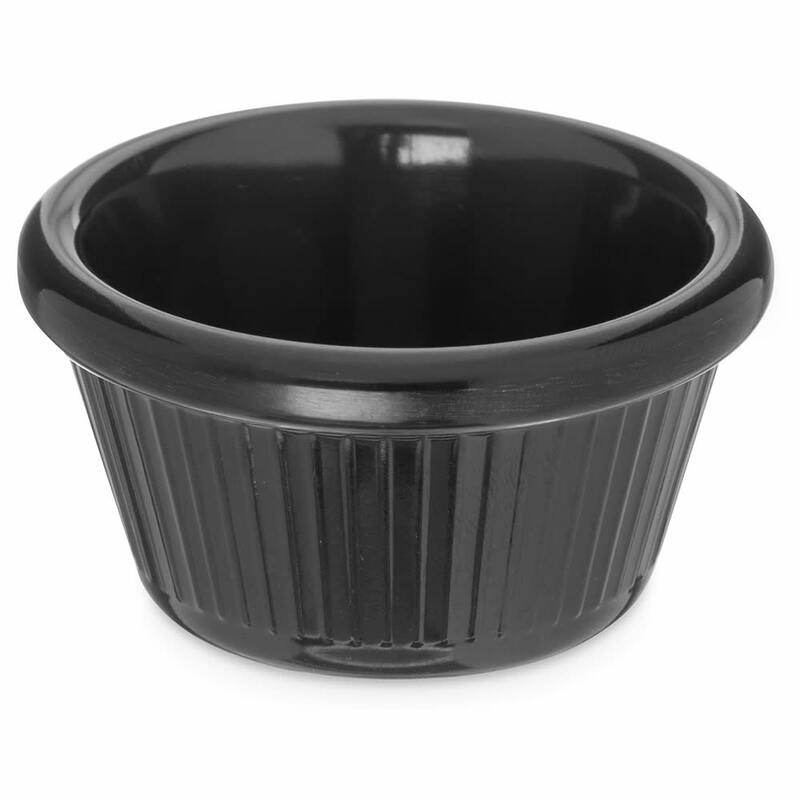 This 2 oz melamine ramekin was designed to safely serve your sauces, spreads and dips. This fluted melamine ramekin from Carlisle is great for serving dipping sauces, salad dressings, and extra servings of condiments! This fluted melamine ramekins has a 2 oz capacity which is ideal for portion controlling condiments and other sauces. Because it is constructed of black melamine it is break resistant and simple to clean. Save money on costly replacements by investing in only the best fluted black melamine ramekins that Carlisle has to offer!